Reunited on Wedding Island…will they ever say ‘I do’? Rosa Gray has returned to La Isla Marina to help with a wedding, not to see rock star Jude Alexander – the man she once ran from! They may have unfinished business, but this time will they risk it all – for forever? The man of her dreams…is a Fortune in disguise! 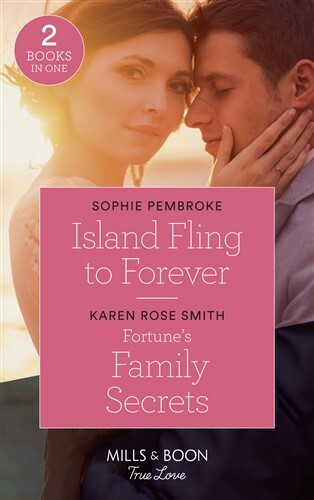 Innkeeper Cassie could easily fall for her newest guest, hunky Nash Tremont – an undercover cop, and a member of the Fortune family! But her own painful past makes her afraid to trust. With so many secrets, Cassie and Nash will have their work cut out!